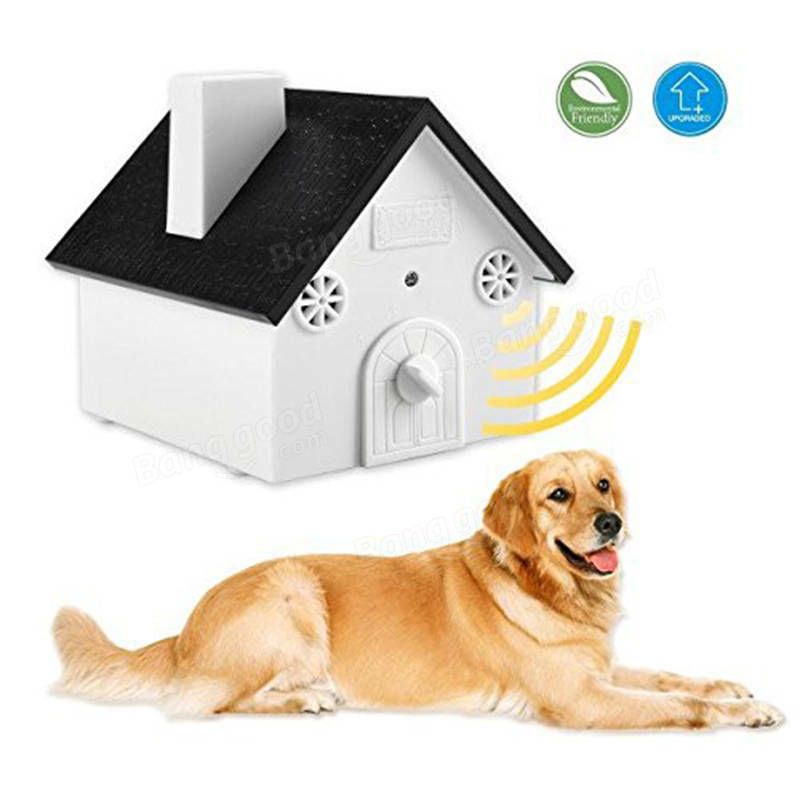 Stop nuisance barking with the Ultrasonic Device in Newest Birdhouse Shape . 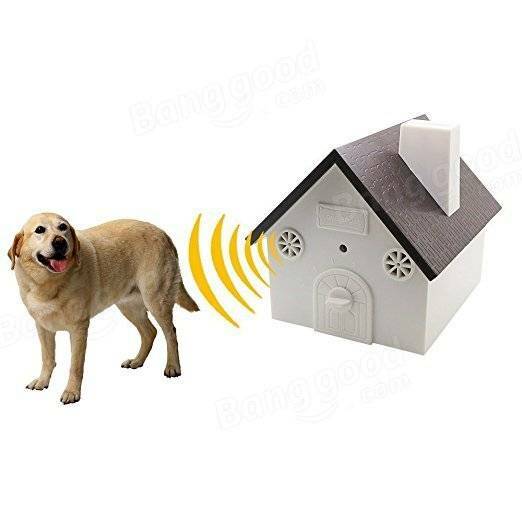 This product aims to solve excessive , noisy dog barking by emitting an ultrasonic sound to silence the dog . The ultrasonic frequency is not harmful to pets and completely inaudible to human ears . 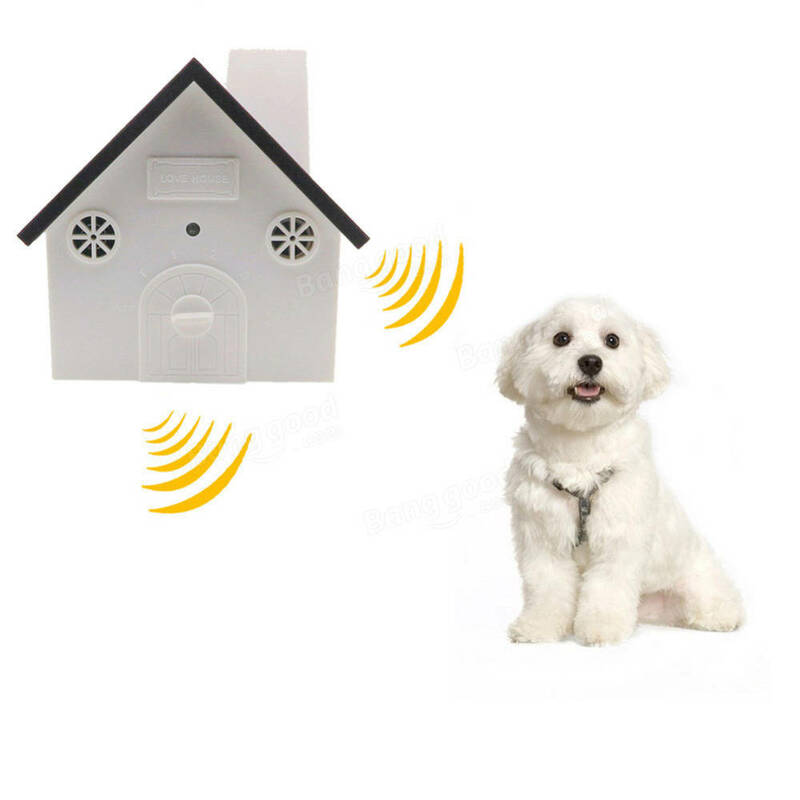 The sensitive microphone isolates and picks up barking up to 50 feet away to solve the disturbing barking problem . Perfect solution for peace and quiet from loud pets . Designed for easy hanging/ mounting on a tree , wall or fence post with a lanyard (included in the package) to keep your own dog or your neighbors’ dog from barking . Safe and effective for most sizes and breeds of dogs , if the dog is deaf or hearing impaired, he may not react to this bark control . Insert a standard 9-volt battery into the device . The unit is automatically activated by the sound of barking . When the device is within the range of a barking dog , the microphone will isolate and pick up the barking to emit an ultrasonic sound to silence the dog . The device has FOUR range levels , including a test mode , and is effective up to 50 feet .